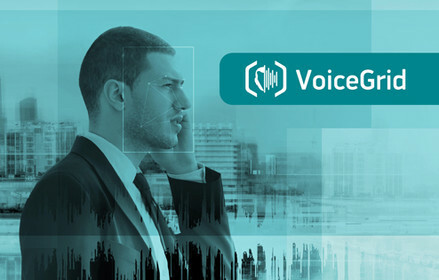 VoiceGrid RT is a sophisticated distributed solution for real-time speaker identification in communication channels, phone calls, files from mobile devices and other sources. The solution can be integrated with voice database up to 10,000 target speakers which can be scaled up to millions of processed records per day. The VoiceGridTM RT application is designed for speaker identification. The system allows sorting all the records in accordance with target speakers’ voice samples. The minimal configuration allows investigators to process up to 10,000 incoming recordings per day against a list of up to 100 targets. The VoiceGridTM RT voice matching, along with the entire VoiceGridTM product line, uses STC exclusive analysis tools, including processing, segmentation, feature extraction and identification of voice samples. The VoiceGridTM RT can be used as a stand-alone tool to enhance future voice identification capabilities or serve as the foundation for a larger voice recognition system infrastructure.